Reflexology Magnetic Insoles Foot Therapy Comfort Pads. Utilizing the ancient practice of Reflexology, these therapeutic insoles can help massage your body while you walk and/or stand your way to better health. 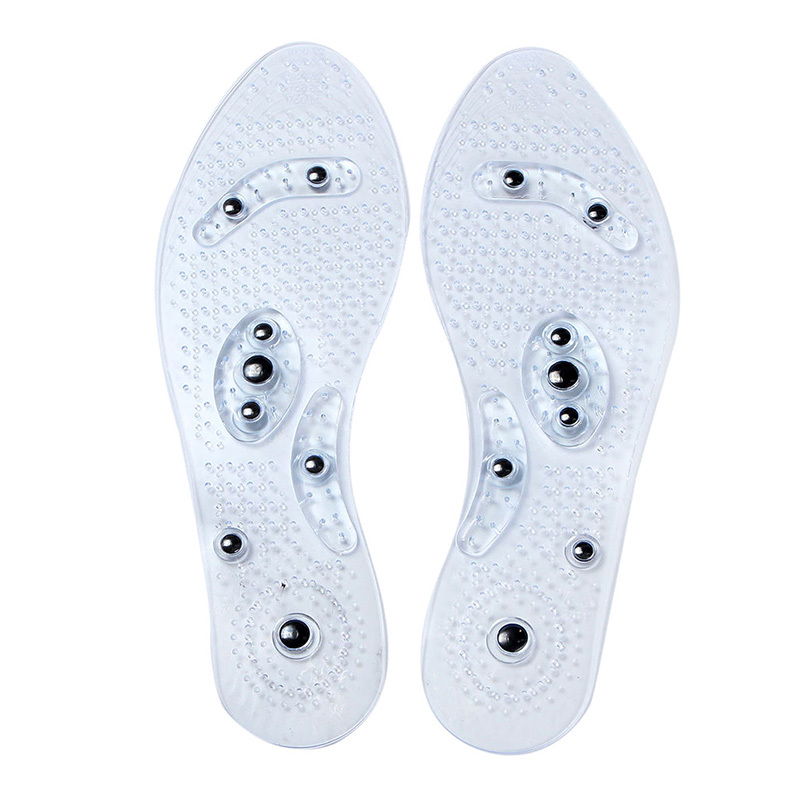 The reflexology designed magnetic insoles will stimulate specific pressure points on the soles of your feet, will help relieve stress, strains, reduce pain, release harmful toxins from your body and even boost your energy levels. 1-Pair Shoe Gel Insoles - The Gift of a Foot Massage - Reflexology magnetic insoles wherever you go. The size is just for reference, there maybe exist a measurement error of 1-2cm, please check whether it fits your size before you buy it.